Living in a house with a big yard provided ample opportunities to think about outdoor water use and water-wise landscaping. When I moved to Colorado in the summer of 1986, I had two observations that would lead me to think about water very differently. I moved to Denver (the first time I had been west of the Mississippi) from upstate New York where I was finishing graduate school. Until that point I had only lived in New Jersey, Massachusetts and New York. These are all places where it rains a lot. I didn’t understand Colorado’s “high plains desert” climate. My first observation was that everyone had sprinkler systems for their lawns. Growing up in New Jersey just a few miles from New York City, no one had home sprinkler systems. Well, that is not really fair since hardly anyone I knew had a lawn. But for those that did have a lawn, actual rain watered the grass with the occasional help from a hose. The second observation is that no one carried an umbrella. I was continuously chided for having an umbrella in my spiffy new briefcase. I didn’t want the briefcase or me to get wet. For the first couple of summer months, it rained almost every afternoon. That umbrella came in handy as I was walking to or from my apartment or office or my very fancy 1982 Datsun (that’s right Datsun) pickup. We don’t seem to get the afternoon showers anymore. Moving to a townhouse has caused a shift in thinking about water use. Thirty-two years later as I contemplate my move into a Denver townhome with no lawn, I think about how my life in Colorado can be summed up in my water consumption. 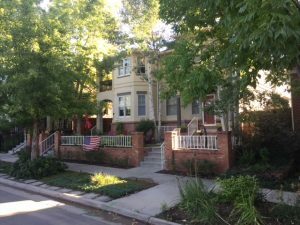 My first two homes were apartments in Denver’s Capitol Hill. Hardly any water use there. 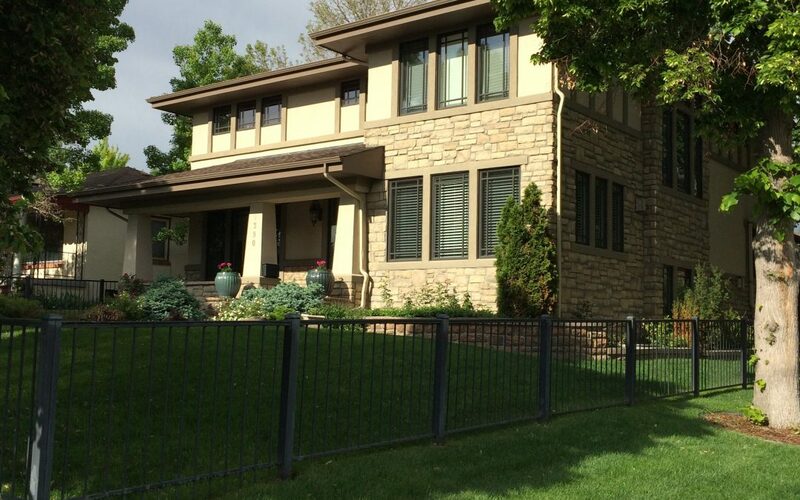 Then I rented a house in Denver’s Wash Park where there was a small grassy area but as a renter, I didn’t water enough to keep the lawn green. Next, I lived in a series of houses in Denver and suburban locations all with service from Denver Water. I worked diligently on the sprinkler system to keep it going. I scouted out the best location for a garden, turned and improved the soil and grew all kinds of vegetables. I removed lawn and planted more water efficient plants. I planted trees to provide shade. I kept very close track of my water use, shutting off the sprinklers when it rained and turning them on again when it got hot. I experimented with endless combinations of watering duration versus time of the day to maximize absorption. Now, with my water efficient shower heads and 75 square feet of landscaping, I will have to think differently about water once again. Perhaps at this point in my life, my focus should be to remind others with big lawns to limit their water consumption, fix broken sprinkler lines, and use xeriscaping. Friends may start taking me off their invitation lists for parties.